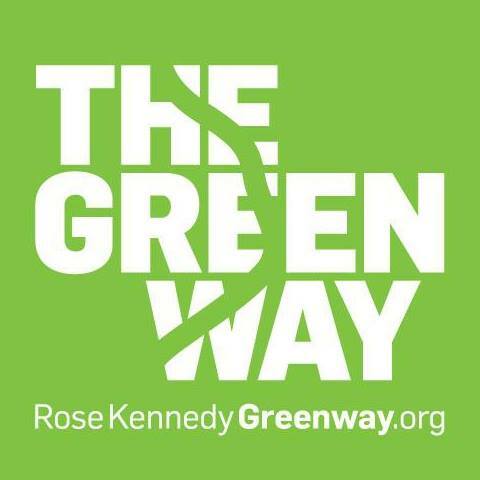 PRESS RELEASE / APRIL 4, 2019 Boston, MA – Trillium Brewing Company and Rose Kennedy Greenway Conservancy are excited to announce the return of Trillium Garden on The Greenway. 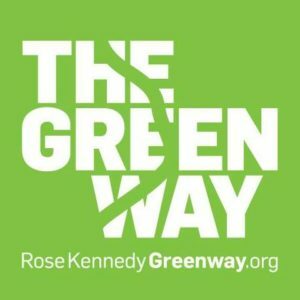 Trillium Brewing Company planted roots on the Rose Kennedy Greenway in downtown Boston in partnership with the Rose Kennedy Greenway Conservancy for the first time in 2017 and returned in 2018 to great acclaim. The seasonal garden welcomes a mix of residents, commuters and tourists and creates one of a kind experiences for beer lovers. 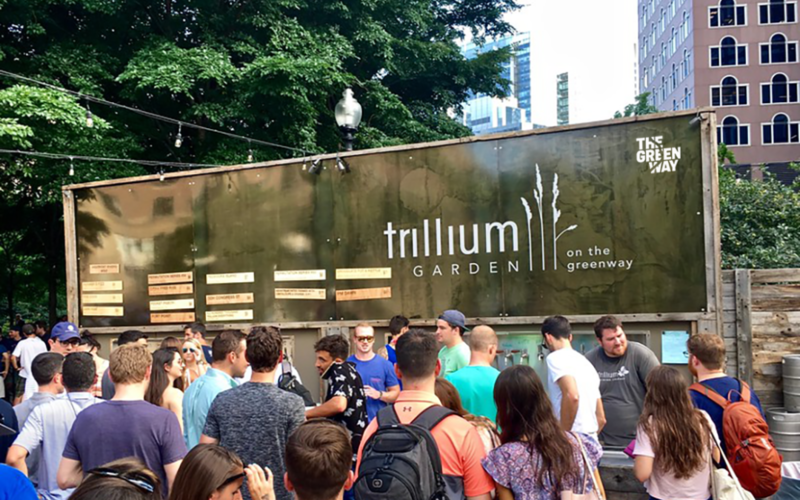 Trillium Garden on The Greenway was Boston’s first fully open-air beer garden and an extension of Trillium’s mission to build a strong community and create destinations for celebrating a variety of life’s moments. Trillium’s brewing capabilities have expanded and now guests of the garden can enjoy a wider variety of beers on draft that pair perfectly with the warmer weather and longer days. This season’s highlights will include light and refreshing new signature lagers, as well as their rotating Fresh Press selections, which feature Trillium Wild Ale combined with fresh pressed juices, like cucumber & pear, strawberry & watermelon and watermelon & mint. Wine will also be on the menu courtesy of Westport Rivers Vineyard & Winery. The Garden’s picturesque outdoor space also allows guests to bring their own food and take in the scenery. Trillium Garden on the Greenway operates at the corner of High Street and Atlantic Avenue, across from Rowes Wharf. The hours of operation are: Wednesday – Friday 2–10 p.m., Saturday 11 a.m. – 10 p.m., Sunday noon – 6 p.m. Additional details about the opening date will be available in the coming weeks. Follow @trilliumgrnwy social media channels for the latest updates. 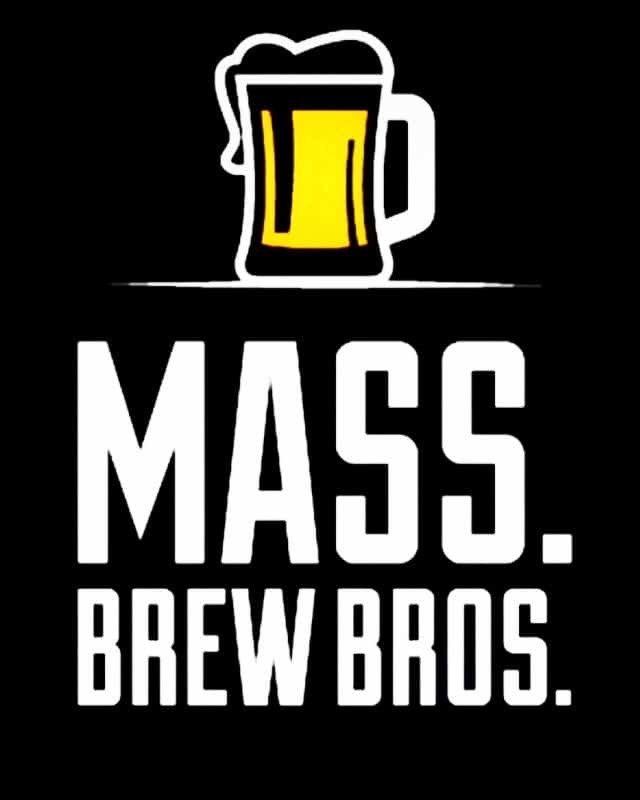 Dorchester Brewing Company, Wicked Twisted Pretzels and the Mass. Brew Bros. are excited to announce their collaboration limited edition beer and event to celebrate National Pretzel Day on Friday, April 26th. The event will include a beer release, Revelry Food Truck and live music Muhammad Seven & the Spring from 7-9:30pm!! Click above for more details or to RSVP. Trillium Brewing Company was founded by JC and Esther Tetreault in 2013 and has since become internationally recognized and regarded as one of the top breweries in the world. 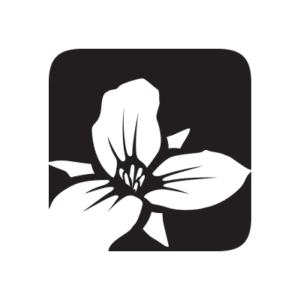 Trillium Brewing Company is a New England farmhouse brewery, using local ingredients whenever possible and utilizing both traditional practices and modern re-invention such as brewing with the seasons and producing styles that speak to the region. For more information, please visit www.trilliumbrewingcompany.com.